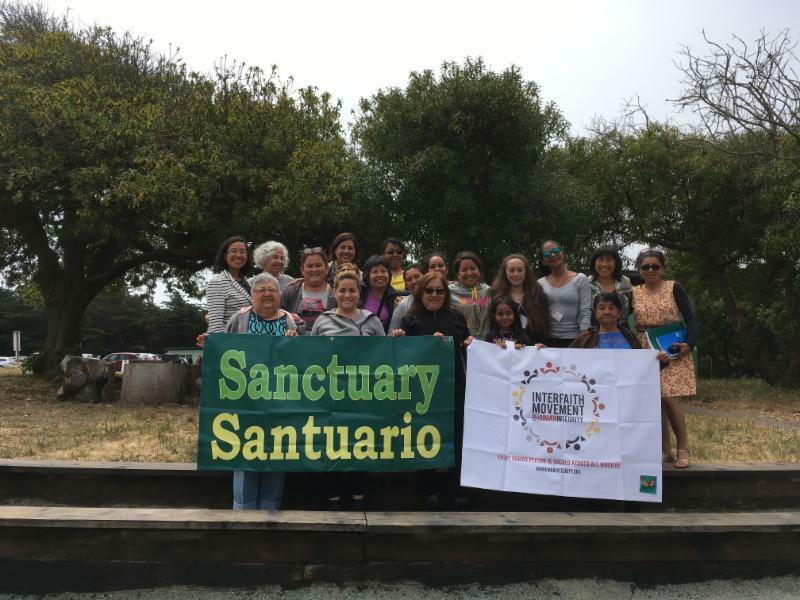 As a network of 36 Sanctuary congregations in Northern California, we stand firmly in the belief that Sanctuary is a sacred and moral act of solidarity with our immigrant neighbors under attack from our Federal government. Sanctuary is a perennial response to a government which unjustly persecutes members of its own society: from Sojourner Truth and the Underground Railroad to the Sanctuary church movement of the1980’s which offered protection for refugees from Central America. Sanctuary is an ancient religious practice which precedes, and will outlast the policies of the current administration. As a Sanctuary network of congregations we are committed to advocacy, accompaniment and building networks of protection for immigrant neighbors impacted by detentions, deportation, and a broken immigration system. Sanctuary today is an act of decency and moral action in the face of the Trump administration’s policies to indiscriminately detain, deport and harm families. It is a necessary action in light of 30 years of congressional inaction to pass immigration reform and adequately address the economic root causes and US military policy which force people to migrate. We cannot stand by idly in the face of bigotry, scapegoating, and violations of fundamental human rights by the Department of Justice, Homeland Security and the Trump Administration. It is, in fact, ICE which is violating due process, the constitution, and universal human rights. Today, we denounce the Department of Justice’s latest lawsuit against the State of California, for we stand by the CA Values Act (SB 54), AB 450, and AB 103 which protect the integrity of our values, families and the very fabric of our common life in California. Our state laws that limit local involvement in painful deportations, uphold worker rights for all, and challenge the indignity of detention are vital steps to recognizing our common humanity. We denounce the racist and demonizing mischaracterization of immigrant communities, including those who have a past conviction. Those who have past convictions have paid their debt to society and are a vital part of our families and communities. We believe in transformation and that no one should be separated from their family, and deported to a place they hardly know. We call on the leadership of our elected officials to stand firm in California values and call on them to support legislation and allocation of resources to strengthen networks of protection in our state. No amount of political intimidation will deter us or silence our unwavering commitment to defend our values of equality and compassion.